Essential Yoga Sangha is available now! Essential Yoga Sangha is an interactive two-week online course about the integration of essential oils into yoga practice. Registration also includes the Essential Yoga Practice textbook, as well as 12 samples of the essential oils used during the course. 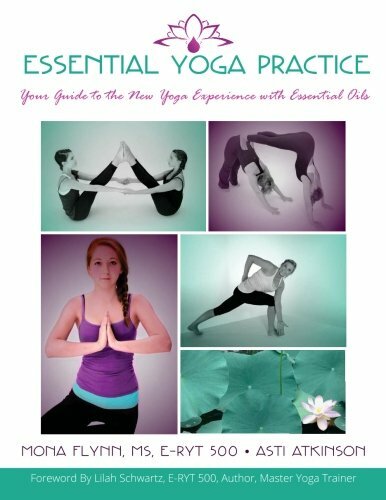 Essential Yoga Practice, the textbook for our courses, provides a solid foundation of both yoga and essential oils for those just starting out in either practice, but also provides additional important insights and instruction for experienced individuals. 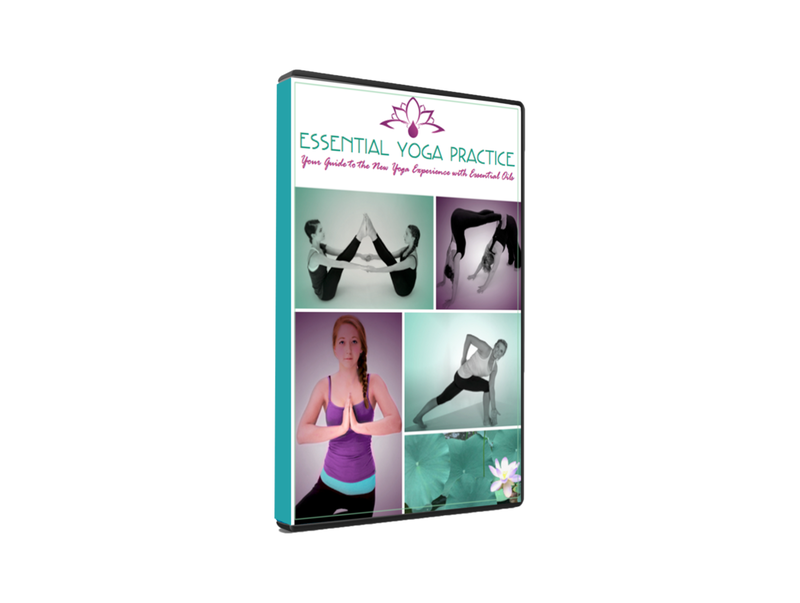 The Essential Yoga Practice DVD is a companion to the book, and features the 6 original yoga sequences from the book, as well as tips for using essential oils to compliment yoga practice. The DVD clearly demonstrates that yoga is for everyone, both novice and seasoned yogis alike! Sign up with your email address and receive our Centering Sequence video series paired with essential oils, our free Diffuser Recipes ebook, new, announcements, and updates. We respect your privacy and will never share your information with a third party. The Essential Yoga Sangha class brought to light a lot of great new information while reinforcing concepts I learned previously. The videos showed how to make a cleaning spray with essential oils, how to use oils in yoga class and during meditation. The presentations tied Yoga and essential oils together beautifully. I loved the guided meditations! I have used essential oils for many years, and I loved how Mona and Asti connected the dots so I could understand how to incorporate oils into my new yoga practice. The Essential Yoga Sangha contained a wealth of information. Even though I’ve been studying essential oils for a few years now and had in-depth yoga therapy training, I still learned so much from this sangha. You learn from Mona and Asti as well as your fellow sangha mates. According to Ayurvedic wisdom, our body and its functions are governed by a unique blend of the three doshas, or mind-body principles: Vata, Pitta, and Kapha.